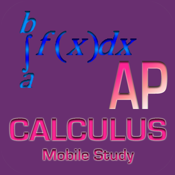 Study for your Advanced Placement Calculus exam anywhere with your iPod/Pad device. This app contains numerous items that one should be able to recall instantly in order to be successful in the exam. Included is a video explaining the Left Hand Rule Overlay Method for memorizing the Unit Circle in degrees, radians, and cartesian coordinates. 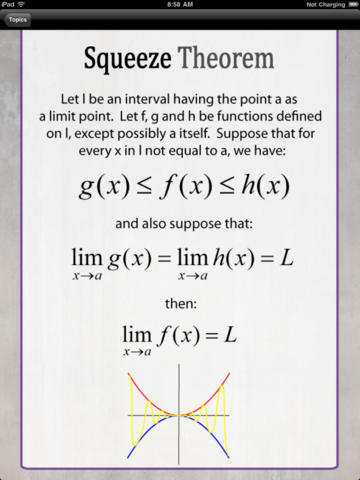 Additionally, an extensive library of flash cards targeted for Calculus.